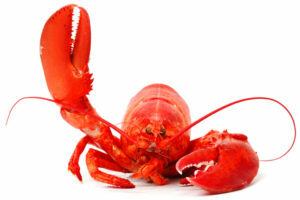 A week or so back I shared an article on LinkedIn from Seafood Source about TSA screening agents searching live lobsters that were to fly from Bostons’s Logan Airport to Savanah Georgia. I had a great conversation with Lisa Feinman, the owner of the (Atlantic Seafood Market) located on; 1400 Boston Post Road in Old Saybrook CT. If you are ever in Old Saybrook Ct. Stop into Lisa Feinman’s (Atlantic Seafood Market) for some of the best and freshest seafood you have ever had. TSA agents all over the US: We know you have a difficult job, thank you for keeping us all safe. PS: No lobsters or TSA agents we harmed while composing this article.